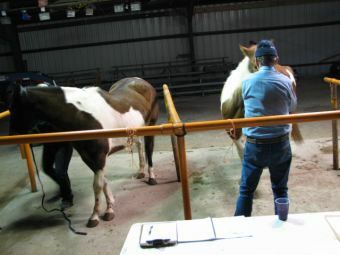 "Legal Farrier Science Associate Degree"!!! 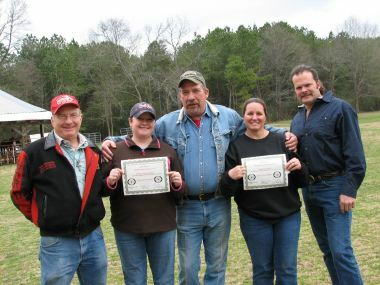 "Horses Helping Veterans... 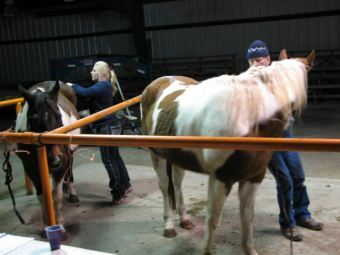 Helping Horses." The investigation of new ideas is important in providing answers to problems, both old and new. It is through research that the normal physiology of the horse becomes better understood and that doors are opened to improve horse care. 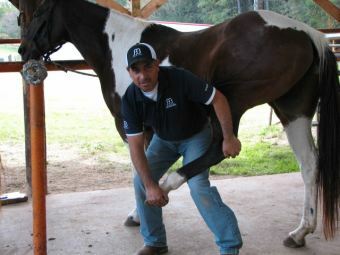 In 1988 Ralph Casey began a complete study on proper shoeing to maintain a sound horse, which would allow the horse to perform at the highest possible level. Prior to Casey's study, no one had ever researched keeping the horse sound with documented proof like we do here. 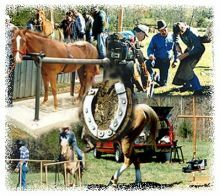 Horse owners began bringing their horses to be evaluated and it became apparent that many of the horses once had the potential to be champions (cutting, running barrels, hunter/jumpers and other events). 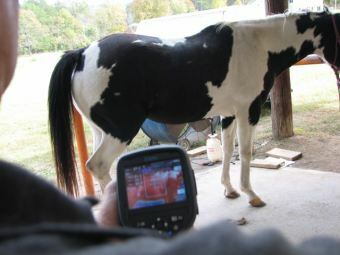 In most cases the horse had received too many "$15.00 " trims. It is through this research that the FNRC was started in 1993. Every horse that comes to the FNRC is evaluated and documented, and we provide information based on these records. 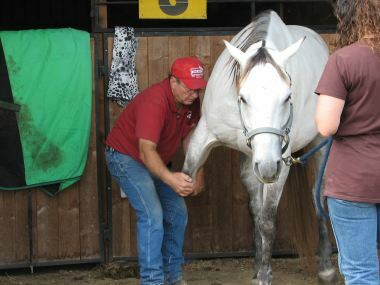 Problems that are found often include unbalanced trimming and shoeing which cause the entire horse to be out of balance. 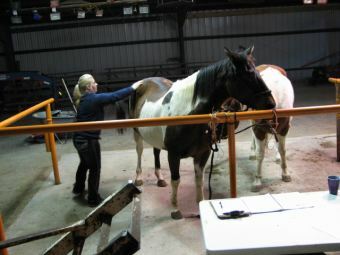 The FNRC also evaluates and recommends products to farriers and horse owners based on the research we conduct. 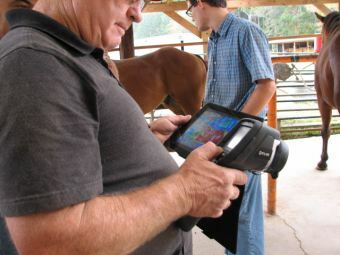 We are not paid by companies to use their products, but provide an objective assessment of current equine products. A sampling of the products we study are hoof conditioners, feed, supplements, shoe styles and innovative equine equipment . Knowledgeable and dedicated care of the hooves is essential to a horses' well being, because the hoof carries the entire weight of the horse. 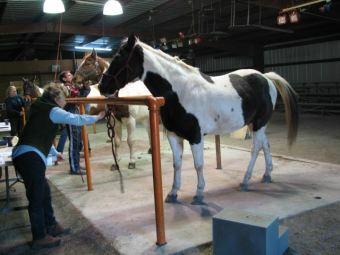 Therefore, the hoof needs to be balanced as much as humanly possible. 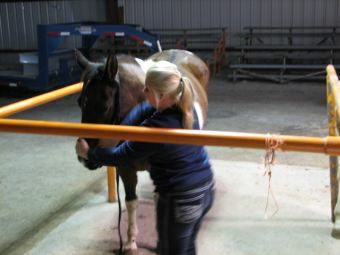 Whether a champion or a gentle trail horse, all aspects of correct horse care make a difference. When it comes to shoeing, there is more to the science than flattening the foot and nailing the shoe. 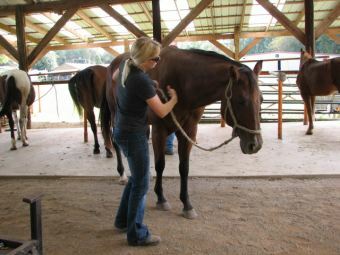 In order to ensure the longevity of the horse and proper shoeing, an educated farrier must be obtained. 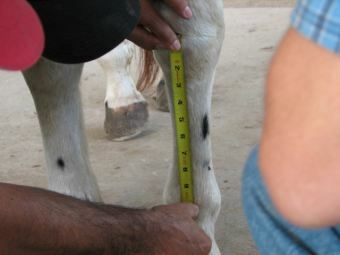 Improper trimming and shoeing will eventually cause the bony structure to become out of alignment. The horse will be sore due to the unbalanced toe, heel and leg lengths. This is the most common and most serious problem occurring to horses today. 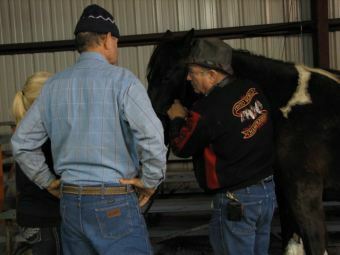 The general purpose for which this corporation is organized shall be to provide an educational center where horse owners and any equine professional can acquire knowledge on shoeing horses as well as the importance of general hoof care for the overall health of the horse and at the same time acquire the most accurate and up-to-date farrier services and hands-on demonstrations with professionals in every aspect of the horse industry. 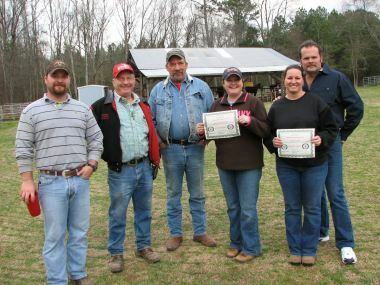 In addition, to provide education and continuing education for farriers in beginning and for higher learning degrees. Provide continuing research for farriers and document our findings. 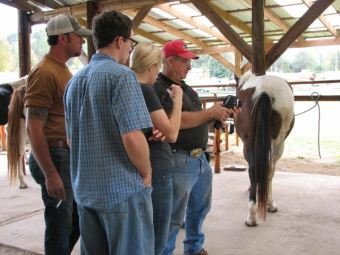 Farrier students have an opportunity to learn from many instructors. The education is compiled from the research, proven methods and documented evidence of the work performed at the Center, using technical equipment, modern methods and our own inventions. Unusual Hoof Problems? We can help! 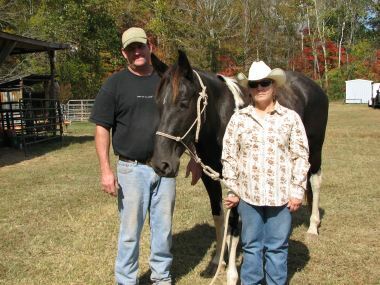 The FNRC is open seven days a week, year round accepting horses and offering farrier education on a daily basis. 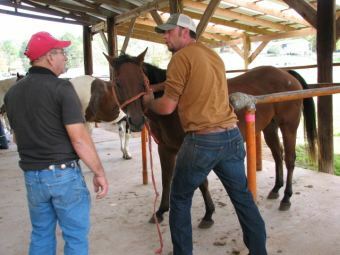 Because horse owners still struggle to locate farriers who can help with unusual and undetermined hoof problems, the FNRC will provide them with professional and proven methods. 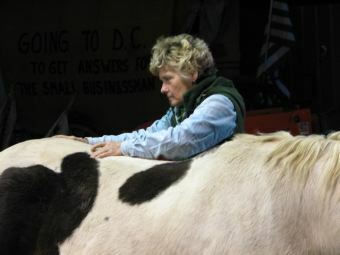 The farriers labor is FREE with fees charged only for overnight stalls and materials used. 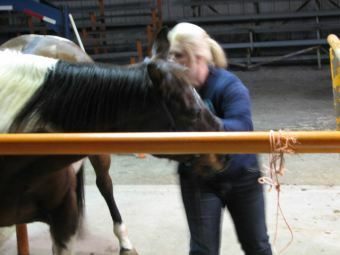 But, any horse can be brought in for a free evaluation. Then and only then can the FNRC help produce better farriers. There is no other facility like it!